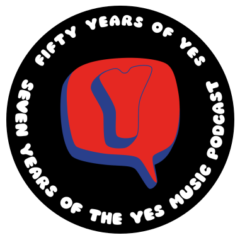 The seventy-sixth episode of the Yes Music Podcast featuring an interview with Tom Brislin who played keyboards on the Symphonic Tour in 2001. Listen and learn all about Tom, his time with Yes and his own new solo album. Please contact me and keep the dialogue going via any of the different routes on the right hand side or by leaving a comment below! How did Tom get the most important keyboard gig in the world? What was working with the band like? @yesmusicpodcast @tombrislin That was such a great interview.Thanks Tom.Thanks Kevin. @sharman62 @yesmusicpodcast thanks! I had fun too. @yesmusicpodcast Great podcast! I only realised, too late, that @tombrislin also played in The Syn, post Banks and Squire.